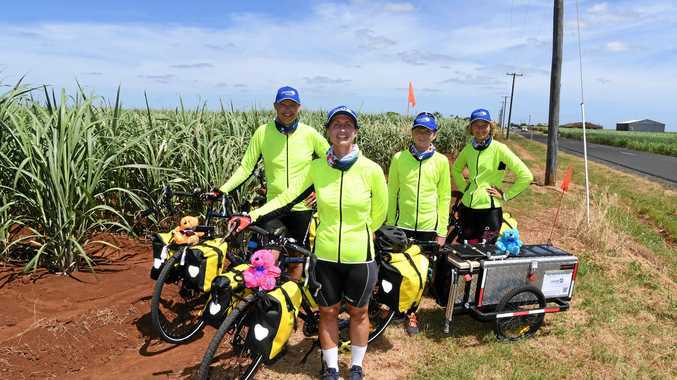 WITH a brightly-coloured teddy strapped to the front of each of their bikes, helmets secured and lycra packed to go, the Wolters family are almost ready to take off on an epic adventure around Australia. Diana, Jozef and their two children Cloe (13) and Jack (12) have spent the last few weeks putting the wheels in motion for their 12-month cycling trip which will raise awareness and money for Motor Neurone Disease. "We decided to do this after Jozef'sDad passed away from the disease in July last year,” Diana said. "We wanted to do something in honour of him and to also raise awareness about MND. The local family have packed up their life in Bundaberg and sold most of their belongings to fund their journey, which will take about a year to complete. 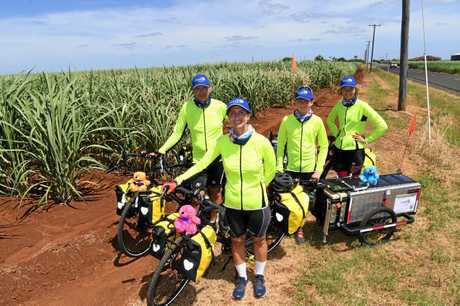 They will set off from Bargara on January 28 and won't return until they have finished a circuit of Australia and Tasmania. "We are only taking very little with us, including one phone, two iPads, food, water and some clothing,” Diana said. The Wolters Family: The Wolters Family are about to embark on a cycle trip around Australia to raise awareness for Motor Neurone Disease. The bikes that the Wolters will be travelling on have been heavily modified to support their long trip, with two featuring a large trailer accessory. "The trailers weigh up to 60kg when fully loaded,” Jozef said. 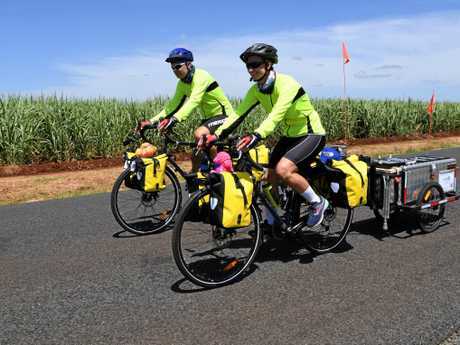 The family say their sporting endeavours in Bundaberg have helped prepare them, but admit they would have to work harder than ever before when they cycle for six hours a day during their trip. "I have been cycling for about two years and I have also been doing triathlons,” Diana said. "The kids also cycle at the velodrome. The Wolters said while their journey would be a huge lifestyle change, they were ready and excited for the challenge ahead. "We will miss our friends but we will be a lot fitter when we come back and we get to learn and spend time with our parents,” Cloe said. "It is going to be fun- it's a small sacrifice for a big reward,” Jack said. While the family put pedal to the medal across the country, followers at home can keep track of their progress through their online blog, One Year On Our Bike, or Diana's personal Facebook page. You can also donate to their cause.